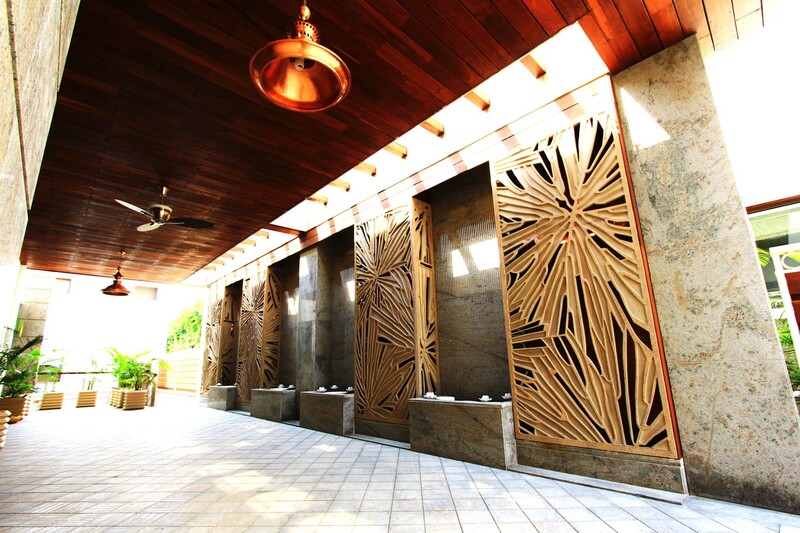 Breathing surfaces add a completely new dimension, quite literally to the jaali work. 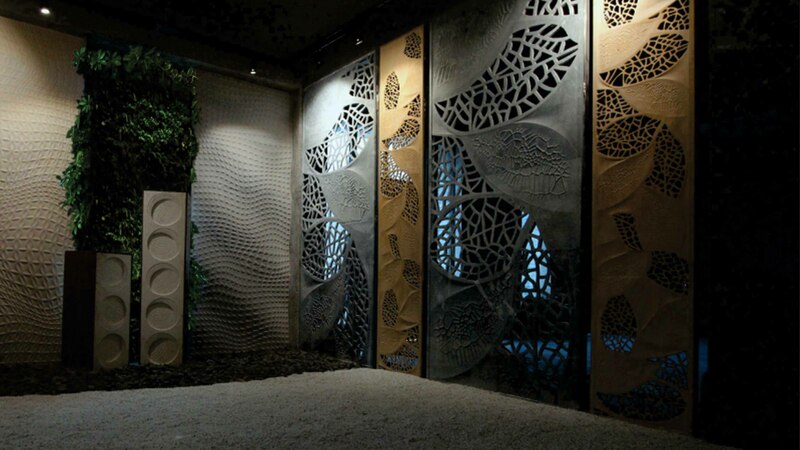 Inspired by designing from nature- parametric design, nervous system of leaves, natural fossils and architectural forms, the panels can be modified with multiple options of overlay/inlay with Shellstone/Gemstones and Semi-Precious Metals. 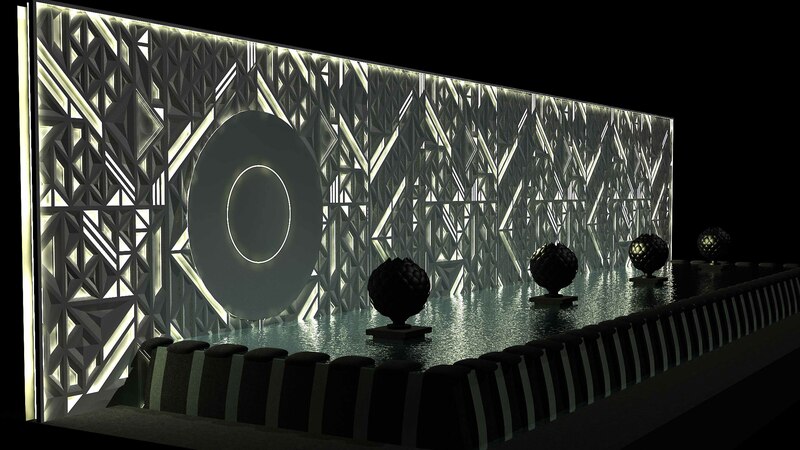 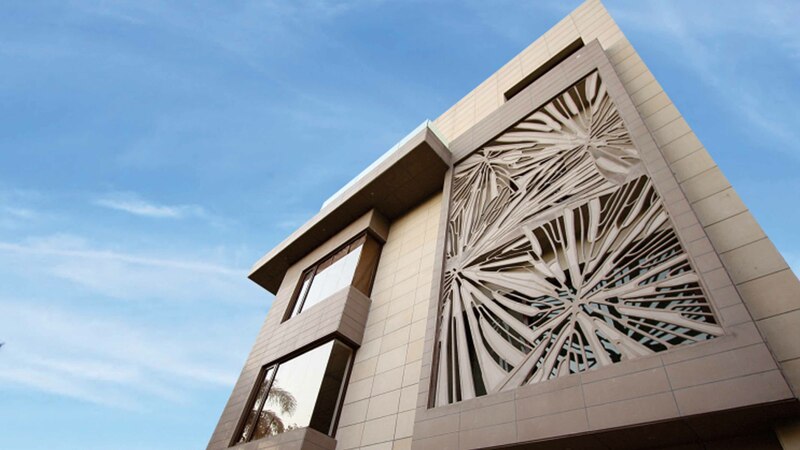 These surfaces can be used as Architectural partitions, façade coverings, exterior/interior and can be customized to suit specific requirements.